Undrask are in the spotlight for this week’s Meet The Band. The North Carolina group’s full-length debut album is Battle Through Time. Guitarist Erik Collier, guitarist Darryl DeWitt, bassist Daniel McCoy, drummer Aaron Schimmel and vocalist Steve Wynn introduce us to their band. Give us a brief history of Undrask. 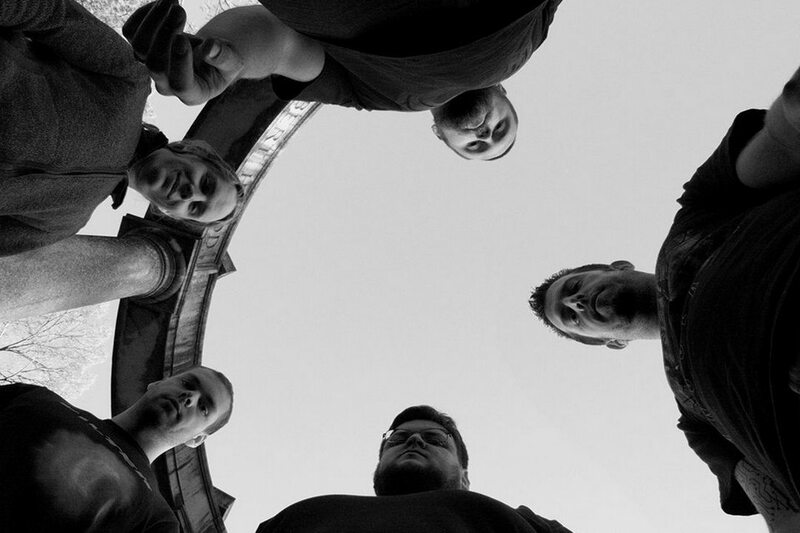 Undrask formed in August 2013 with the goal of creating tasty, melodic, and driving metal. Erik and Darryl met through mutual friend Steve at a local beer festival, and they quickly discovered that they had cohesive musical stylings and taste. Pushing through the hangover the next morning, they conjured the first melodies and riffs that would eventually lead to our EP. Shortly after the EP release, life jumped in and started smashing things up as usual, so we lost our first drummer and bassist. After a long search, Aaron and Daniel jumped on board to help tackle the creation of Battle Through Time. They’re a great fit, musically and otherwise, and we’re happy to call this group of dudes Undrask. What does the band name mean? Steve and Erik were working for a Norwegian company at the time of Undrask’s conception, and thought Norway was awesome (still do). They got drunk, dug through some Old Norse words, and picked a few that sounded cool, then narrowed it down to one. “Undrask” means something along the lines of “to stand in awe of,” which we thought was fitting for the direction we wanted to head with our lyrical content. While it’s actually pronounced closer to something like “Oon-droosg,” we’re ignorant Americans and just say it the way it’s written. We do, however, encourage you to say it however you damn well please! Describe the songwriting and recording process for Battle Through Time. The writing process basically involved Erik and Darryl passing ideas back and forth via email (Darryl lives in Raleigh, about an hour and a half from Greensboro). Sometimes it was bits and pieces – a riff here, a lead there – and sometimes it was a fully structured song. As with any writing process, there were a lot of changes, suggestions, and scrapped ideas. We write music that we want to hear first and foremost, so if it wasn’t grabbing us personally, it was tossed. Sometimes it clicks, sometimes not – you just have to keep putting in the time and effort to make something worthwhile. A lot of the bass was written during this time, but some was saved for later to bring Daniel in on the process and make sure things would flow well. Same for the drums. Sometimes we had very specific ideas, sometimes not. Aaron, being a drummer and all, brought his thoughts in and wrapped things up. Writing the lyrics was probably the most fun, and sometimes the most frustrating part of the process. Generally, we would sit outside on Erik’s deck, have some beers, and throw ideas around. Often times this would derail into random humor and debauchery, but we also got some great ideas down this way. A few of us really wanted to make them poetic at times, so finding the right words to convey some of the stories and metaphors took a bit of effort. Even the brutal, violent bits were given due consideration. Sometimes we would just get stuck, with everything sounding cheesy or bland – that was the frustrating bit. Sometimes we would slam out half a song in an hour. We’re very pleased with how they turned out. If you’re into lyrics, you can find them on our Bandcamp page, or printed on the physical digipak (also available through Bandcamp). Guitars and bass were recorded at Erik’s place on weekends over the course of a few months. We all have full time jobs, so it’s difficult to make a large block of studio time work. We did book a week with Jamie King to record drums and vocals (and “Embers and Omens”), and are glad that we did. Jamie is an absolute beast, and super easy to work with. He definitely cares about his craft and his clients. After working his magic, Jamie was able to make this album everything it could be. You can think of the album as a television series. There are individual episodes with an overarching story. The album as a whole is about a man in an odd situation – not necessarily good or bad. On the second track, “Conscripted,” he discovers that upon death, he is reborn into a new reality, always immediately in some sort of conflict or battle. This track finds him accepting and even embracing this fact. “Final Right” finds him in a state of mental decay, his consciousness spinning from untold years, centuries, or millennia of this cycle. “Battle Through Time” holds the resolution of the story, but we don’t want to spoil it. You can check out the lyrics and draw your own conclusions! The remaining tracks each tell the story of a different time or reality that our protagonist passes through. This structure gave us the freedom to write about cool stuff while still keeping the album linked together. For example, “Primal Revelation” was inspired by Lord Humungus and his gang from Mad Max 2. “Champion of the Dawn” is the story of a vampire hunt gone wrong. “Longhammer” is about a medieval-warrior-type-guy battling some dudes, but the whole thing is a giant metaphor for drinking. Melodies and riffs everywhere, with a heavy vocal delivery. The focus is always on the track as a whole, so you’ll hear varying degrees of intensity from each instrument throughout. We also love bass melodies, so check it out with a good low end if you can! Better than we could have hoped. This is obviously our first full effort, and to get so much positive feedback is super encouraging. We obviously like what we’re writing or we wouldn’t be doing it, but to hear that so many others seem to enjoy it is a fantastic feeling. We’re humbled and grateful and excited all at the same time! In the future would you like to sign with a label, or do you prefer the independent route? We’re open to discussion with a label. We were actually encouraged to shop Battle Through Time around, which we did briefly, but December/January is a tough time as we understand it. Our primary concern for the moment is getting our name out there. Darryl and Erik will be on the 70,000 Tons of Metal cruise starting February 2, so we didn’t want to miss the opportunity to get our music in the hands of some serious metal fans. We’ve got some physical copies reserved for handing out free on the boat, so seek them out and grab a copy if you happen to be on board! What has been your most memorable Undrask live show? Probably the show where we had a fan drive over 3 hours just to see us. This was when we only had our EP out for a short time, with very little exposure. Erik actually struck up a conversation with him before the show, to find out that he came to see Undrask. We bring our A game every time, but hearing that really fired us up. We pushed extra hard and had even more fun than usual, even though the show wasn’t all that big. Afterwards, we actually went back to Erik’s and played some games with the guy (hi Ed!) and became fast friends. We have a couple of shows booked in Greensboro and Raleigh in March/April, but no official tour plans yet. We’re still very new, but the exposure from Battle Through Time has helped us find some new friends and contacts all over. We’d love to set something up and are in the very early planning stages, so stay tuned! We were actually contacted about a European buy-on tour, but the other bands weren’t really aligned with what our fans might want to hear (and vice versa), so as fun as that would be, we had to decline. We’re definitely interested though, should the right opportunity present itself. What’s the heavy music scene like in Greensboro? It’s somewhat small, but full of the best people you’ll ever meet. We’ve yet to hear a discouraging word from or about any other band, which fosters a fantastic atmosphere. We’re actually fairly new to Greensboro, but have been welcomed warmly and enthusiastically. All of this is true from Greensboro down to Spartanburg, SC – so many great people and so much killer music. If you’re ever in the area, stop by a local show and see for yourself! Erik: Currently, I’m listening to an unhealthy amount of Necromancing the Stone’s Jewel of the Vile. Can’t say enough good things about it. Kalmah is never long out of rotation for me, and I’ve been revisiting King Diamond’s early albums as well. Darryl: I’ve been listening pretty hard to Devin Townsend’s new album. I’m hoping we can model some of the next album after Z2 – I love the storyline aspect of it. I’ve also picked up Amon Amarth’s latest to get extra brutal. Steve: I can’t get enough of Testament’s new album Brotherhood of the Snake and a local brutal death band, Chaos Ensues (Winston-Salem, NC). Aaron: Lamb of God, Soilwork and Gojira have been consistently up there, however lately I have been listening to a lot of Toothgrinder, Cattle Decapitation, Whitechapel, and Devildriver. I have to shake up my playlists every week or two to keep creative juices flowing. Daniel: Deftones, Pig Destroyer, Municipal Waste and Cannibal Corpse are always on rotation but lately I have been listening to a lot of Poison. First, we hope you like the album! Second, it’s hard to express how grateful we are for your time. There’s so much amazing music today, among many other distractions, so we’re truly thankful and humbled by your interest. Last, we’d love to hear from you! Facebook is the best way to reach us currently. Shoot us a message for any reason!